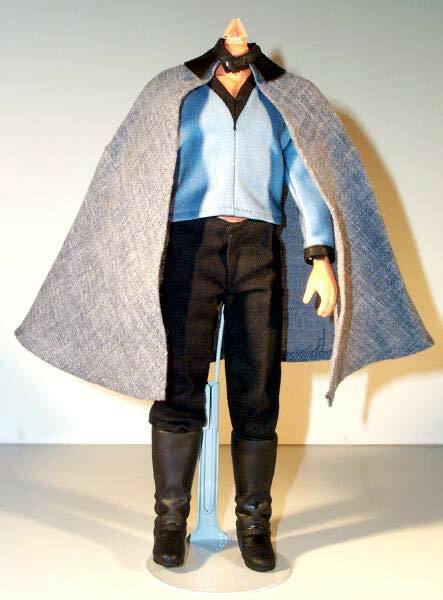 This is one of only two Lando outfits known to be in collectors' hands, and the only one with the cape. Unlike the other one, this one didn't come on a headless figure; I'm just temporarily displaying it on a headless Luke until a suitable replacement can be found, such as a Frank Hardy doll. Prototype packaging for Lando, which features photos of the doll's head, can be seen here. The concept artwork for this doll can be seen here.